(TibetanReview.net, Aug25, 2016) – A UN expert has on Aug 23 criticized China for severely undermining his work of investigating extreme poverty and human rights during his nine-day visit to the country, reported Reuters Aug 23. 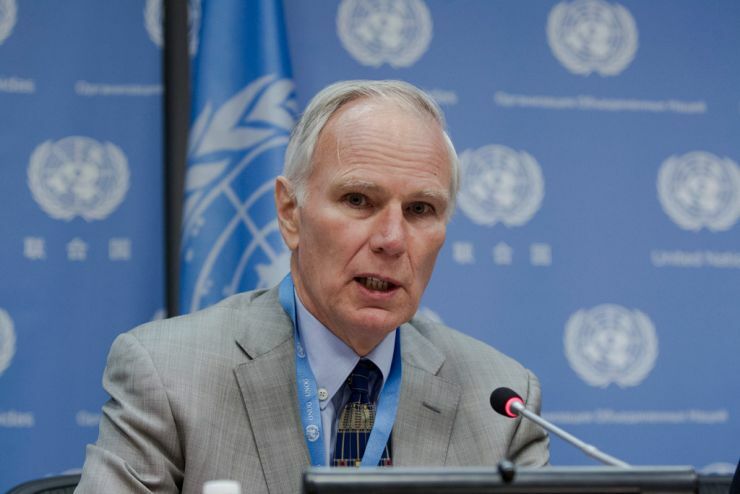 Philip Alston, the UN Special Rapporteur on extreme poverty and human rights, has said he was taken on an “abysmal tour” of a model ethnic village near the southwestern city of Kunming, where officials presented minorities in terms of colourful dances but not in terms of education or meaningful protection of language and traditions. Alston has told reporters at the end of his tour that he had notified the government in advance of academics he wanted to meet on his visit, a routine practice for a UN special rapporteur. However, “none of those meetings were arranged, and the message I got from many of the people I contacted was that they had been advised that they should be on vacation at this time,” Alston, an Australian who is a law professor at the New York University School of Law, was quoted as saying. He referred to the human rights situation in China in general, saying, Beijing had cracked down on civil society, limiting the space for individuals and groups to influence public policy and air grievances, reported hongkongfp.com Aug 24. Alston has also written in a statement that recently introduced laws have combined with police action against protesters and lawyers in “a pincer movement designed to systematically narrow and control the space for citizens to express discontent over matters such as land rights, workers’ rights and environmental threats”.